Travel to Kazakhstan ? Who goes to Kazakhstan for a vacation, right ? But what if I tell you that it is “THE PLACE” to go? Whether it is a family vacation or some backpacking trip to satisfy your wanderlust, Kazakhstan has something for everyone. Let’s start with this video. Not convinced yet ? Okay, lets get to some lucrative facts now. 1. Just 4 hours from Delhi. You just need 4 hours to travel to Kazakhstan from Delhi. Both their main cities (Almaty and Astana ) are just a 4 hrs flight away from Delhi and Air Astana has flights almost everyday at a cheap price. 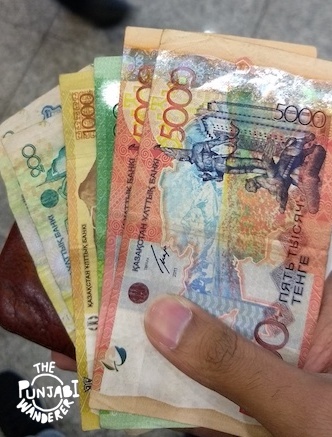 The official currency of Kazakhstan is Tenge, and it is cheaper than INR ( 1 USD ~ 340 Tenge). That said, the prices of the commodities are almost comparable to their prices in Indian Metro cities. A meal at a fancy place would cost you 500-600 INR. Beer is cheaper though 😛 (100 INR even at a bar). 3. Leh, Himachal and Kashmir combined. You can see vast steppes, cold deserts, treks and lakes when you travel to Kazakhstan. All of that in a 2-3 day trip to Kolsai National Park from Almaty. Here are a few clicks. 4. A natural replica of the Grand Canyon. Just 3 hrs from Almaty lies the Charyn Canyon and it is as amazing as the Grand Canyon. 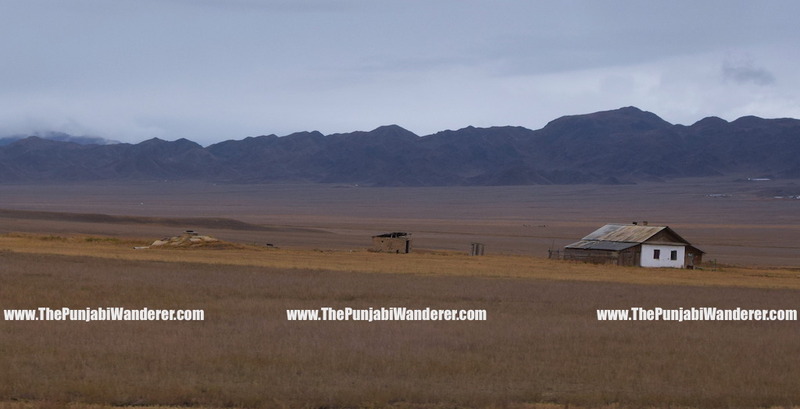 Group tours to this place can be as low as 1500 INR per person. And if you desire you can spend the night there as well. (But they just have one resort there and a room can cost you nearly 4k INR). This long preserved Kazakh Tradition is prevalent in various Central Asian countries, but why visit others when you can see it right here in Almaty. Golden eagles usually hunt rabbits and fox, but in pairs, they are capable of hunting down wolves as well. You can see the real thing or just a show (depending on how much you are willing to spend). I booked a tour at Indy Guide. 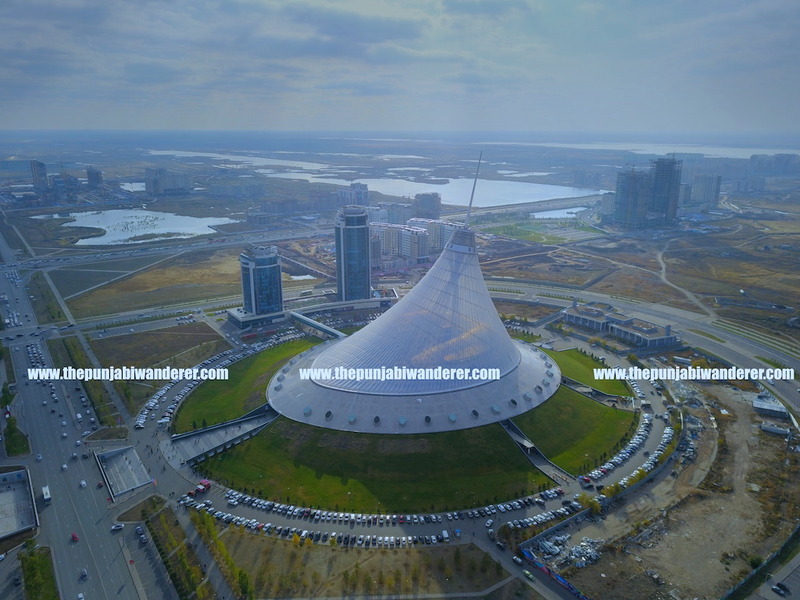 It is a pretty good website for booking tours anywhere in Central Asia. 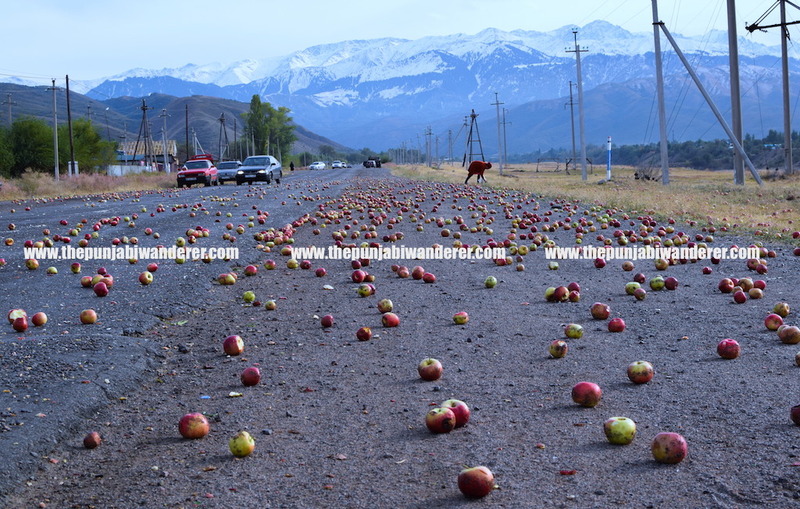 Kazakhstan has forests of apples ! Yes, Forests! Actually apples originated from Kazakhstan only. And Kazakh apples are delicious and can very well be a reason good enough to travel to Kazakhstan. If you are lucky enough like me, you can also find them on the roads. Kazakh food is finger licking good. I can only say that about the non vegetarian food, because I didn’t try vegetarian. They eat a lot of meat, be it sheep, horse or beef. And they drink a lot of Chai as well (Yes! Chai is an Arabian word). My favourite dish was Plov – its basically rice, raisins, nuts, grams and meat. I found Kazakh food much better suited to Indian tastebuds than the European food I had in May this year. Find my tips for a Eurotrip in 1.25 lacs here. 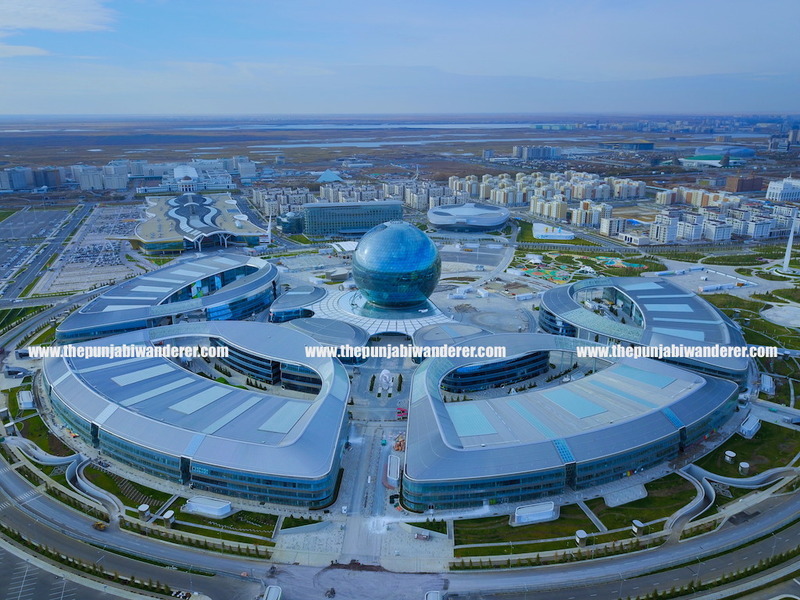 The capital city of Astana is just an hour away from Almaty via air. This city’s architecture is more modern than all the Indian metros combined. Don’t believe me ? Have a look at it yourself ! Last but not the least, is the people. I met a lot of interesting people when travelling in Kazakhstan. My hosts, co travellers, uber drivers, everyone ! Mostly people speak Russian, and very few people speak English. But after my visit, some of them even speak Hindi now 😀 . A basic knowledge of some Russian words can be handy when you travel to Kazakhstan. Ah, I started with 6 reasons in mind and ended up writing 9 😀 . Convinced enough now ? So, if you are thinking about what should be the itinerary, procedure for VISA application, where to book etc. I will be writing another blog for that. So stay tuned ! Scroll down and checkout my Instagram and Facebook page for more pictures and videos. You can subscribe to my blog by entering your email address as well. Next Post 8 day Gujarat Road Trip – Octopuses, Lions, Monuments & Rann. Yup, this place is a hidden gem ! The track is called Hassak. There is a link to the track in the YouTube video description. Hi.. These place is amazing…Added to my list… what is the budget i should look for the trip..?? It depends on what all places you want to cover. Most tours are from Almaty city and a shared cab costs 6-7 thousand INR for 4-5 people. If you are alone you still have to spend 6-7k. So it all depends on how many people are there and what all places you want to cover. Eating costs are like any Indian Metro city. Hey ! For VISA you need an invitation letter from a travel agency in Kazakhstan. When you have that letter, just fill the VISA form and submit your application in the Delhi Embassy.